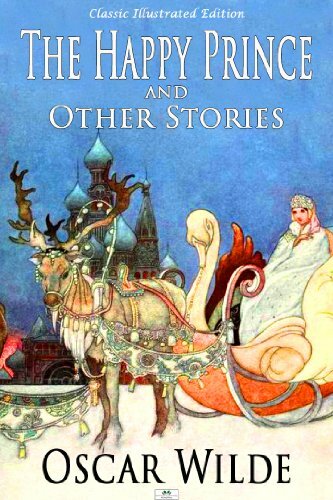 ﻿ Download/Read "The Canterville Ghost" by Oscar Wilde (web, epub, pdf, html, mobi, qioo) for FREE! The story begins when Mr Otis's family shifted to Canterville Chase, despite warnings from Lord Canterville that the house is haunted. The Otis family includes Mr. and Mrs. Otis, their daughter Virginia, twin boys (often referred to as "Stars and Stripes") and their oldest son Washington. At the onset of the tale, not one member of the Otis family believes in ghosts, but shortly after they move in, none of them can deny the presence of Sir Simon (The Ghost). The family hears clanking chains, they witness re-­appearing bloodstains "on the floor just by the fireplace", and they see strange apparitions in various forms. But, humorously, none of these scare the Otises in the least. In fact, upon hearing the clanking noises in the hallway, Mr. Otis promptly gets out of bed and pragmatically offers the ghost Tammany Rising Sun Lubricator to oil his chains. Despite Sir Simon?­s attempts to appear in the most gruesome guises, the family refuses to be frightened, and Sir Simon feels increasingly helpless and humiliated. When Mrs. Otis notices a mysterious red mark on the floor, she simply replies that she does ?­not at all care for blood stains in the sitting room.? When Mrs. Umney, the housekeeper, informs Mrs. Otis that the blood stain is indeed evidence of the ghost and cannot be removed, Washington Otis, the eldest son, suggests that the stain be removed with Pinkerton?­s Champion Stain Remover and Paragon Detergent: A quick fix, like the Tammany Rising Sun Lubricator, and a practical way of dealing with the problem. Wilde describes Mrs. Otis as ?­a very handsome middle-­aged woman? who has been ?­a celebrated New York belle.? Her expression of "modern" American culture surfaces when she immediately resorts to using the commercial stain remover to obliterate the bloodstains and when she expresses an interest in joining the Psychical Society to help her understand the ghost. 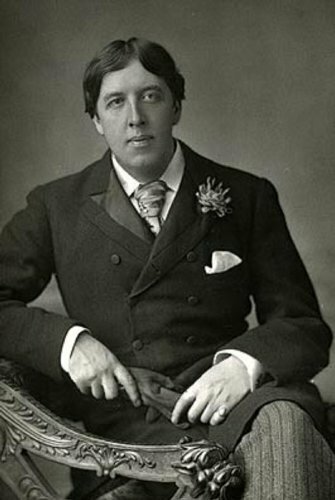 Mrs. Otis is given Wilde's highest praise when he says: "Indeed, in many respects, she was quite English...­" The most colourful character in the story is undoubtedly the ghost himself, Sir Simon, who goes about his duties with theatrical panache and flair. He assumes a series of dramatic roles in his failed attempts to impress and terrify the Otises, making it easy to imagine him as a comical character in a stage play. The ghost has the ability to change forms, so he taps into his repertoire of tricks. He takes the role of ghostly apparitions such as a Headless Earl, a Strangled Babe, the Blood-­Sucker of Bexley Moor, Jonas the Graveless, Suicide?­s Skeleton, and the Corpse-­Snatcher of Chertsey Barn, all having succeeded in horrifying previous castle residents over the centuries. But none of them works with these Americans. Sir Simon schemes, but even as his costumes become increasingly gruesome, his antics do nothing to scare his house guests, and the Otises succeed in foiling him every time. He falls victim to trip wires, pea shooters, butter-­slides, and falling buckets of water. In a particularly comical scene, he is frightened by the sight of a ?­ghost,? rigged up by the mischievous twins. During the course of the story, as narrated by Sir Simon, we come to understand the complexity of the ghost?­s emotions. We see him brave, frightening, distressed, scared, and finally, depressed and weak. He exposes his vulnerability during an encounter with Virginia, Mr. Otis? fifteen-­year-­old daughter. Virginia is different from everyone else in the family, and Sir Simon recognizes this fact. He tells her that he has not slept in three hundred years and wants desperately to do so. The ghost reveals to Virginia the tragic tale of his wife, Lady Eleanor de Canterville.